Property 28: Pippi View 1 (Bottom) - across the road from the beach! 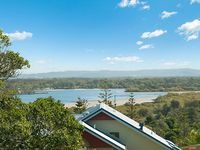 Property 36: Avalon 2- uninterrupted views- almost on the beach! Property 37: Pippi View 2 (Top) - across the road from the beach!